glare green finish, pre-striped. Official 5x9-ft. playing surface. Greater the top thickness. the livelier the ball action. 6 N 25966N2-%-inch top. Shipping wt. 152 lbs. 6 N 259 67 N2-l-inch top. Shipping wt. 177 lbs. NOTE: Ta bles sent freig ht (rail or truck) o r express. 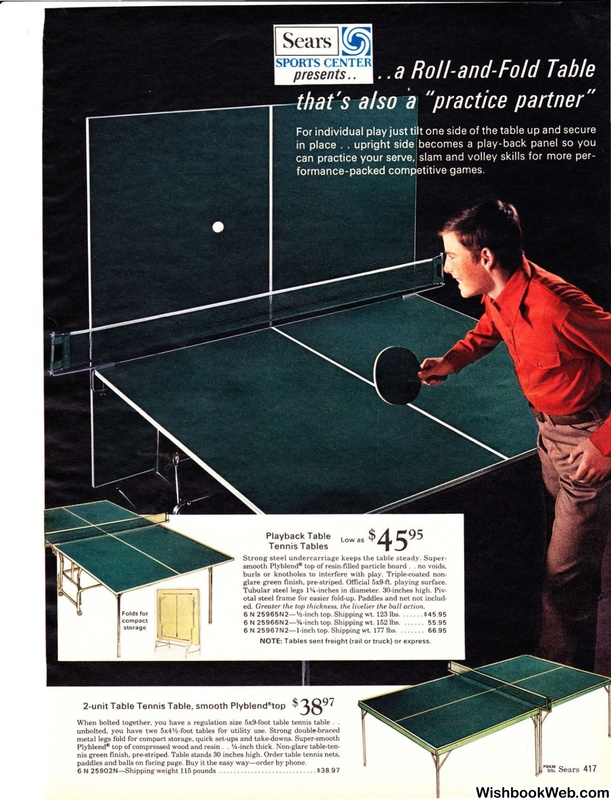 When bolted together, you have a regulation size 5x9-foot table tennis table . paddles and balls on facing page. Buy it the easy way-order by phone.